As one of the most professional and top-leading screen recording programs, Snagit provides users with not only screen capturing but also screenshots taking features. Being smart and simple enough, Snagit makes it easier for you to record image, video, audio together with cursor. There are comprehensive supports for capturing regional, full screen, webcam or even scrolling page. With built-in video editor, it is well developed to edit your recording by getting help from shapes as well as annotation tools. Additionally, Snagit is equipped with back ground auto fill function. You have right to manage all files in Snagit's library. Of course, any capturing can be shared on TechSmith's server along with Google drive. Essentially, both Windows and Mac OS are available to take a snapshot of your computer desktop. Full-featured as it is, Snagit is not open source with high cost ($49.95 for single user license) and 15 days trial limitation causing majority of users look for best alternatives to it. Here we list 6 free and low budget alternatives to fit for your requirements. If you would like to find a handy and advanced screenshot capturing tool, Joyoshare Screen Recorder is a good alternative to Snagit. It is accessible to take screenshots at any time. You can reset its standard location of screenshots in "preferences" on the upper right corner. In addition, what is convenient is that Joyoshare Screen Recorder is equipped with a shortcut by using keys "Ctrl+Alt+F9" so that there is no need for you to click a button during capturing process. Most importantly, it can work as both video and audio capture to recording any screen activities that are going on your desktop. During the video capturing process, you are entitled to trim your recording to different segments by using a "scissors" icon cutting tool. If you want to take advantage of its screen recording features, you will find what an amazing video capturing tool it is when taking multiple output formats as well as it supported popular devices into consideration. Vitally, it lets you preset scheduled task in advance, choose outpour format, remove unexpected sounds, highlight cursor, customize recording area, etc. If you are unwilling to install any other software, you can go straight to use Snipping Tool, which is a native application of Windows operating system. Different from Snagit, Snipping Tool is specialized in capturing screen shoots on any object from your desktop screen, meaning that it is not dedicated to video and audio recording capabilities. The screenshots can be saved as JPG, PNG, GIF or Single File HTML, which is unable to share to any social media site and cannot be annotated due to its pretty simple editing tool. Note that it comes with a new feature on Windows 10, proved a significant improvement, from which you are allowed to set a delay time, about 1 to 5 seconds, to take a screenshots. 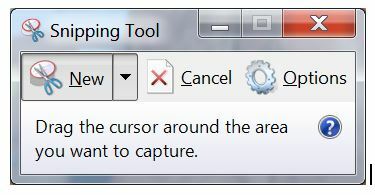 Snipping Tool enables you to make full-screen snip as well. Despite it cannot be compatible with Macintosh or Linux. However, no installation can be regarded as its biggest attractive point. Similar to Snagit, Jing is both a snipping tool and screen recorder that available to Windows and Mac OS, which makes it feasible for users to take any screen image with ease or capture screen videos in high quality. 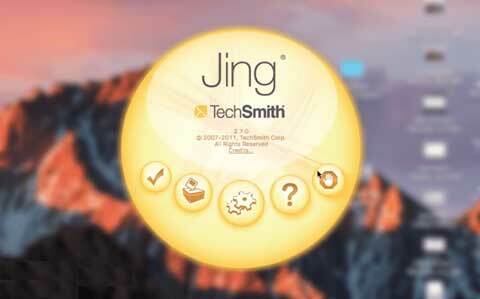 With an elegant and user-friendly interface, Jing is uncomplicated to operate. When you take a screenshot, it creates a wonderful platform for you to add a rectangle or arrow, adjust colors, add text to make comments, highlight the existing text to annotate what you snip. At the same time, Jing is accessible to share the recorder screen with others, letting them view the uploaded snipped file on the web by automatically creating a URL, from which your screenshot can be output with the format of PNG. Besides, when work as screen capturing software, Jing permits you to record onscreen video with no effort. It is worth noting that there is a 5 minutes limitation for video recording, which cannot be edited as a result of it is designed without a professional video editing tool. With an easy-to-use and intuitive interface, Movavi Screen Recorder is widely used by plenty of users. Being compatible with not only Windows but also Mac operating system, it is supportable for record video as well as audio in full screen or a customized area. Movavi Screen Recorder is mainly focus on video capture. Come with a built-in basic editing tool, it authorizes you to add effects, captions together with transitions to captured videos. Nevertheless, there is an advanced editing tool provided to make Chrome key, slow motion along with video stabilization possible. You can cut out any parts of your video if you don’t want to leave it. You can save the recording for later playback on a mobile device or a computer so that it can be watched at any time. What needs to let you know is that Movavi Screen Recorder supports multiple language and customized hotkeys. To make a scheduled recording time, you can record a video, online radio, short clip, TV series, video call, etc, with just quick settings, which can be saved as MP4, AVI, GIF or MP3. 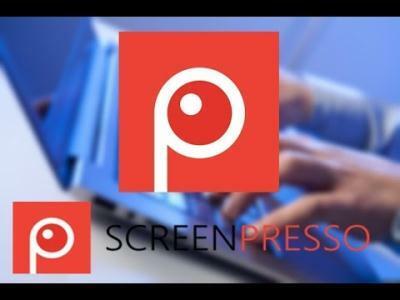 Being a satisfactory solution to Windows and acting as an app for iPhone and iPad, Screenpresso is used by not only individuals but also companies. Capturing a full screen or set a specific area with a shortcut, you are allowed to capture screenshots including its scrolling parts. 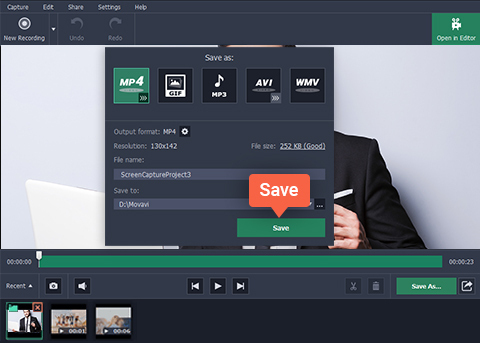 Aside from it, you can capture your screen video in MP4 format for lightweight files aiming at easy sharing. There are only 3 steps you have to operate. Press a "PrintScreen" key to start a recording, edit your captured video with a built-in editor and publish your recording in the form of PDF, attaching it in your email, or dragging anywhere you want to post it. Adopted excellent image editor, you get access to edit your screenshots, adding arrows, colorful speech bubbles, text boxes, spotlighting an area, cropping video, adding drop shadow, reflection andmore facy border effects. Screenpresso comes with a "Workspaces" to save all screen captures automatically. Furthermore, your captured images or recorded videos can be shared with kinds of ways, like updating it to Google Drive or YouTube, emailing it to others, publish it on social media webs, etc. Are you fond of one of the best alternatives to Snagit? You'd better match your expectation as well as cover your budget limits to decide the most suitable one. Supposed that you would not like to install any third party software, Snipping Tool might be a nice recommendation to fit for your need, which is bundled with Windows and can capture your screen image with simple operation. 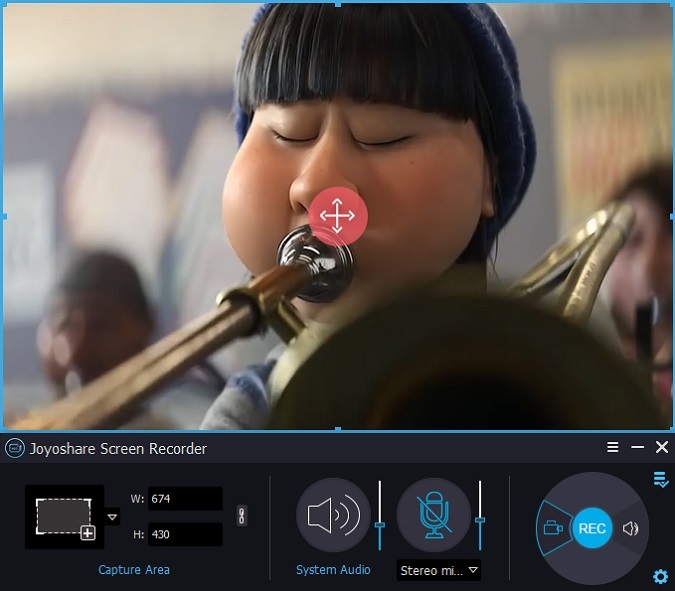 If you desire to possess a full-featured alternative to Snagit and can accept low budget, you cannot miss Joyoshare Screen Recorder, which can not only help you to take screenshots, but also capture any video and audio activities on your desktop screen with abundant recording options. Anyway, no matter which software you are interested in, don't forget to have a try in advance.